An active shooter is reportedly on the loose at a New York hospital. 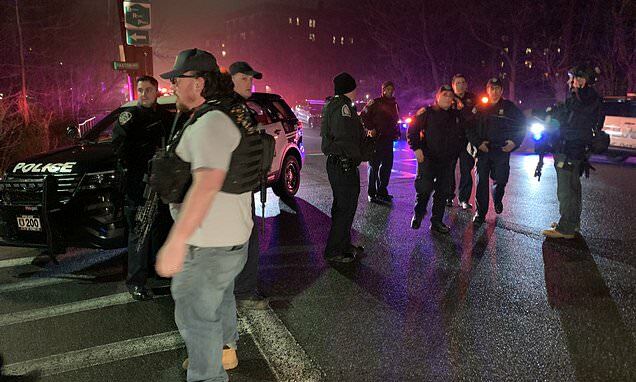 A huge police response arrived at Lawrence Hospital in Bronxville on Sunday night amid reports that a man with a shotgun had walked inside. SWAT teams and armed vehicles have surrounded the hospital and are patrolling the area. Police vehicles are also block off entrances to the hospital, according to WPIX. Officers from Bronxville, Yonkers, and Westchester County are all at the scene. Hospital employee Mcaaulay Mike said her heard 'code silver' on the loudspeaker, which means someone has a weapon.